Commodities giant Glencore says a subsidiary has received a subpoena from the U.S. Department of Justice. Glencore PLC, headquartered in Baar, Switzerland, mines commodities such as copper and coal, and then trades those materials. On Tuesday, it said the Justice Department requested documents from Glencore Ltd. "with respect to compliance with the Foreign Corrupt Practices Act and United States money laundering statutes." "The requested documents relate to the Glencore Group's business in Nigeria, the Democratic Republic of Congo and Venezuela from 2007 to present," the company stated, adding that it is in the process of reviewing the request. In the Democratic Republic of Congo, Glencore says it is involved in mining copper and cobalt. 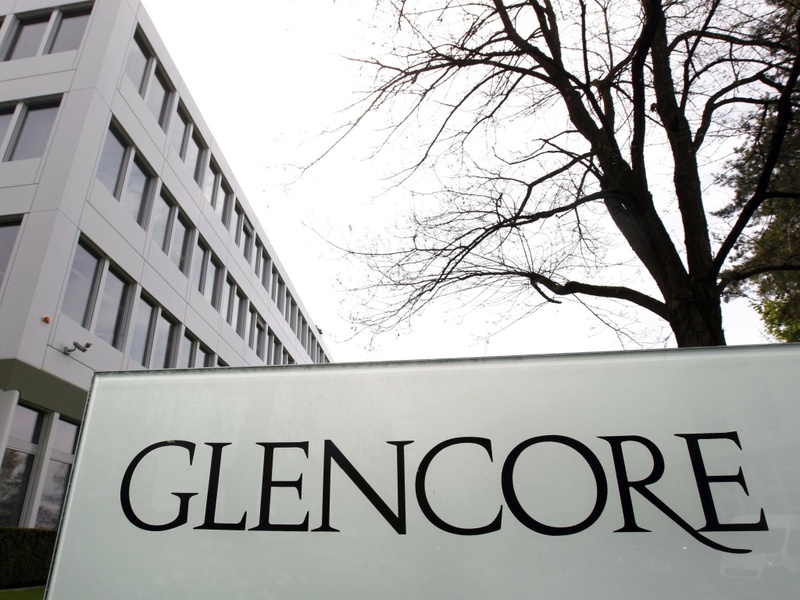 "In Nigeria and Venezuela, Glencore produces oil and coal," according to The Associated Press. Glencore shares slid at least 12 percent in early trading in London. According to Bloomberg, the drop knocked "more than 5.5 billion pounds ($7.3 billion) off Glencore's market value, about half the $14.8 billion of profit the company made last year." Shares had recovered somewhat by early afternoon, down more than 7 percent, as the BBC reported. "The Swiss trader and miner is already facing the possibility of a bribery investigation by U.K. prosecutors over its work with Dan Gertler, an Israeli billionaire and close friend of Congo President Joseph Kabila, people familiar with the situation said in May." The U.S. imposed sanctions on Gertler last December over his alleged human rights abuses. The U.S. Treasury said in a statement that Gertler "has amassed his fortune through hundreds of millions of dollars' worth of opaque and corrupt mining and oil deals in the Democratic Republic of the Congo (DRC)." Glencore also saw its stock price drop sharply in 2015, as NPR reported at the time, though that was linked to a commodities-price collapse for producers around the world.